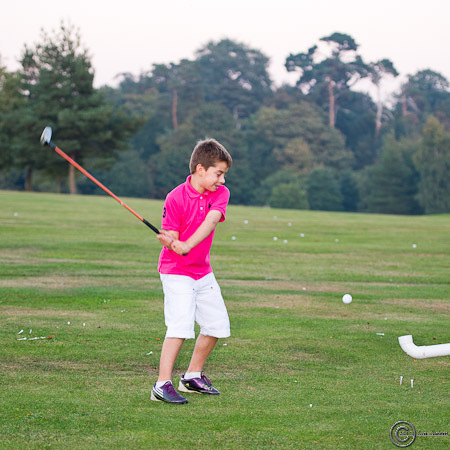 Hintlesham Golf Club was baked in hot sunshine for the Marie Curie Golf Day in memory of David Roblin. Club Director Henry Roblin sadly lost his father to cancer shortly after the family took over the Suffolk Club in December 2006. It’s a very special date in the clubs golfing calendar in which sees many members and friends supporting the Marie Curie Cancer Care. 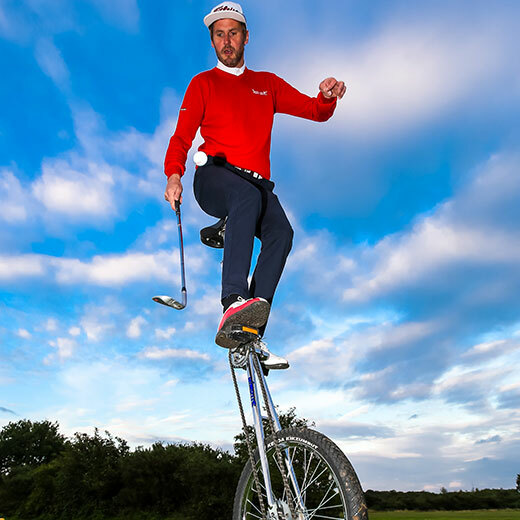 This year the KC Golf Show played in the golf day as well as performing his trick shot show. Kevin’s team were tipped as strong contenders with fourball being made up actor and good friend Tom Ellis, photographer Tom Owens and Jamie Buller. Too many wasted opportunities meant the KC Golf Show team were a long way off the winning better ball score of 115 pts. Kevin made up for an average day on the course with an impressive, and highly entertaining trick shot display for everyone involved in a fantastic day. The Charity Day raised £2,500 which was greatly appreciated by both the Roblin family and Marie Curie Cancer Care. The date for next year’s event has yet to be confirmed, and will be posted on the website in due course. Great day Kevin for a very worthwile cause. Looking forward to play a part next year. Thanks very much Tom – will aim for the same fourball next year!